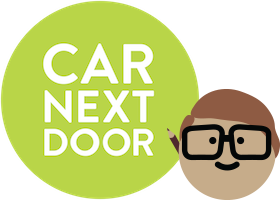 You can share the driving with someone else, but only if the other driver is a Car Next Door member - non-members are not covered by our insurance. If you want to share the driving, your friend can join for free. Once they are a member, they are able to drive: it doesn't matter whether the trip is booked in your name or theirs. Share the driving for free! If you have a friend or partner that you'd like to share the driving with, simply get them to join for free. Once they're verified, they can drive the car, even though the trip is booked under your name. the DCL amount will be based on your Rate Plan. For example: Bert is a Heavyweight member and therefore has a permanent DCL reduction of $500 for all trips taken for $19/month. His wife, Margaret, is a Featherweight member, as she only drives occasionally, and her DCL is $2,000. They go on a long trip together, booked under Bert's Member ID and have a minor prang when Margaret is driving where she is at fault. Bert is liable for the DCL, which is only $500. Only approved Car Next Door members are insured to drive any of the Car Next Door vehicles. Never allow another person to drive a car booked under your borrower member account, unless they are a Car Next Door member. If you do, you will be responsible for any damage, costs or liability that they may incur.